AUSTIN — Huston-Tillotson University seeks to become one of the greenest HBCUs in the country, and from February 17 to 19, 2019, the University will host another “green” event to get it closer to that goal. Registration information and a call for presentations and proposals can be found here. Early bird registration is available through December 7. The theme for the 2019 Texas Regional Alliance for Campus Sustainability (TRACS) Summit is “Bringing Environmental Justice to Campus.” Over the two days of the Summit, students, faculty, staff, and others will present their perspectives and research, and organizations will feature exhibitions and network with attendees. “Hosting this conference provides us the opportunity to support the broad network of Texas higher education institutions undertaking sustainability work and share perspectives,” said Dr. Karen Magid, Huston-Tillotson’s director of STEM and sustainability. 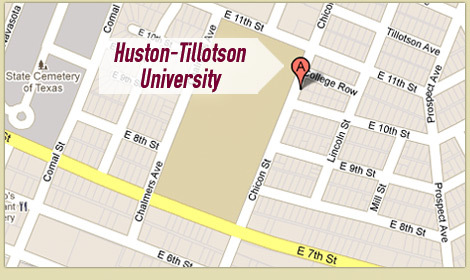 On Huston-Tillotson University’s campus, some rooftops are lined with solar panels, and there a solar charging station and green study patio, a greenhouse, rain garden, organic food garden, fruit trees, and heritage oaks. Environmental justice is the principle that environmental benefits and harms be equitably distributed. TRACS is a network of faculty members, students, and sustainability professionals supporting higher education in Texas by implementing climate change and sustainability solutions across campus operations, academic curriculum, and off-campus fields of influence. TRACS facilitates collaboration between higher education institutions through a variety of means, including this annual TRACS Summit. TRACS is supported by volunteer members representing Texas colleges and universities.